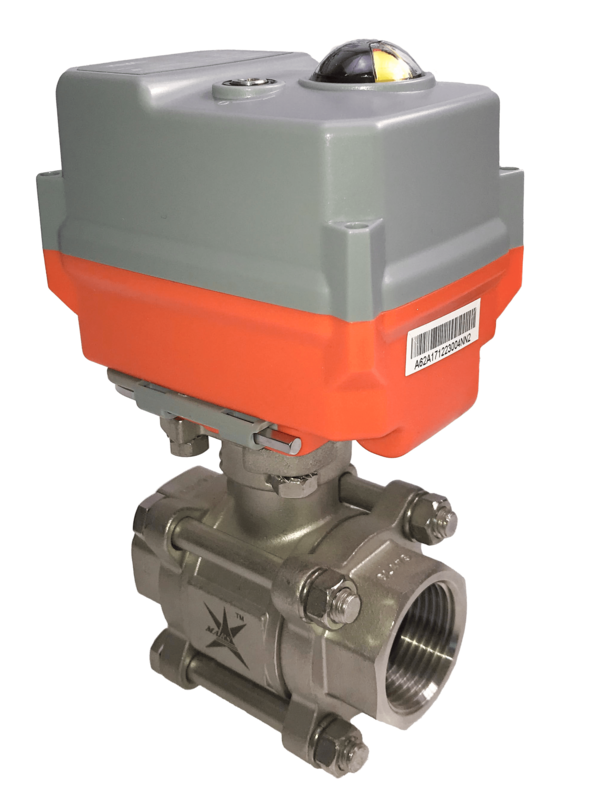 These GE Economy 3 piece electric actuated full bore stainless ball valves use the AVA Basic electric actuator to provide on-off isolation in general service applications. Stays put if power fails. 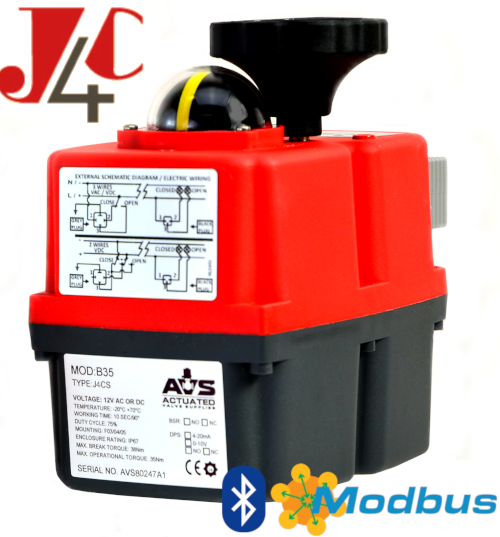 Supplied fully assembled and tested. 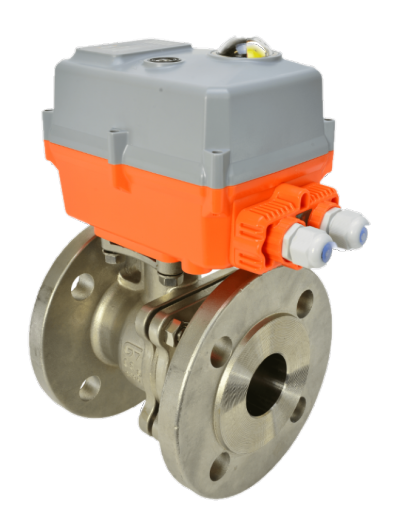 You can buy AVA electric actuated stainless steel ball valves online at AVS.